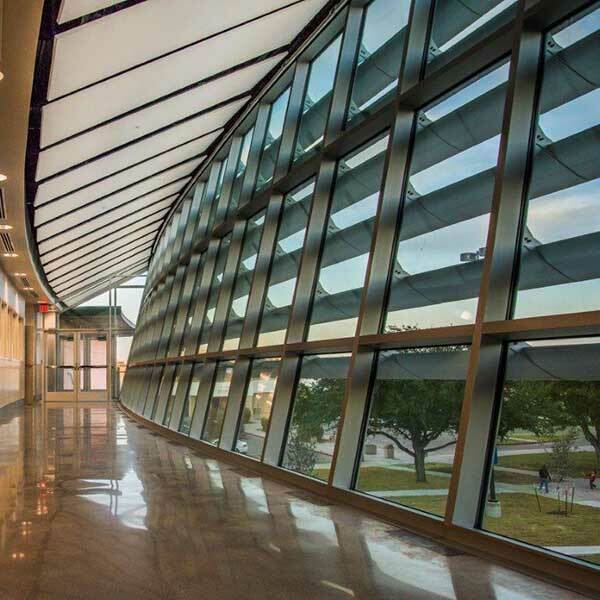 The new 20,000 sf Del Mar College music building was designed to prepare students for a career in the music field and sits adjacent to the Fine Arts Center bringing the majority of Del Mar College’s fine arts programs together in a complex-like area. The project features new facilities and upgrades to existing spaces that set the standard for a program of excellence as the college plans for the next 50 years. The new spaces house two recording studios, well-equipped, state-of-the-art control rooms, a large rehearsal room, dressing rooms, a green room, classrooms, a music technology lab, a sheet music library and small recording studios. 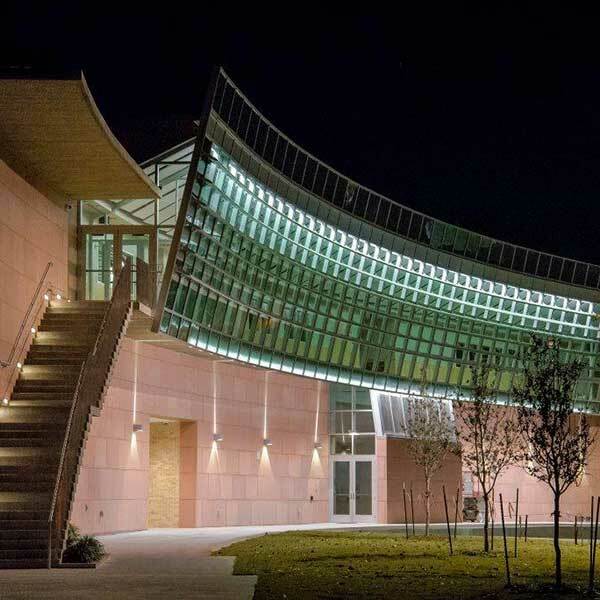 The new 2-story music building addition also includes curved curtain wall systems, polished concrete floors, a chilled water system, acoustical cloud ceiling panels and acoustical wall panels. The new music building incorporates vast amounts of natural lighting and smooth, clean design. One of the most notable features of the new music building is the sweeping glass concave wall which provides an acoustic backdrop for the outdoor amphitheater. The exterior is cast stone and brick. 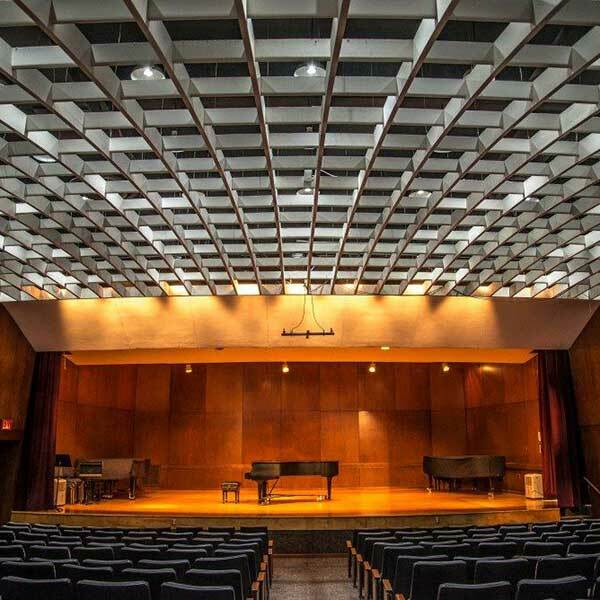 Wolfe Recital Hall received a makeover as well. 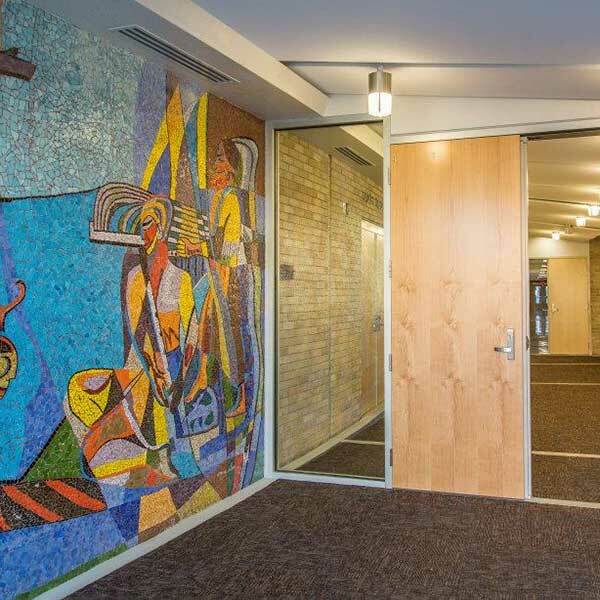 The lobby was updated with a new entry vestibule, new carpets and acoustical ceiling panels and new lighting. The stage received a new wood floor, curtain and audio visual equipment. New HVAC equipment was added to an existing mechanical room.